Fontanini by Roman Figure Centennial Nativity Set with Italian set 7-Piece. While this 7 Piece Nativity Set with Italian Stable. 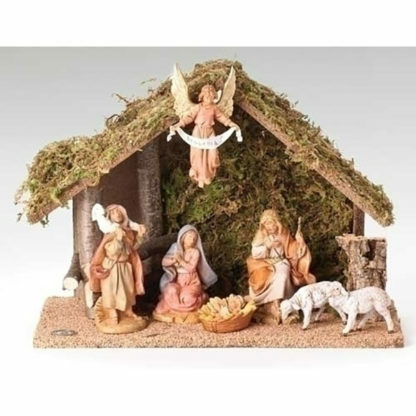 Also set includes the Holy Family and stable. Made in Bagni di Lucca, Italy. Made from wood, moss, bark, and hand painted polymer. Stable is approximately 10 inches tall. Includes original manufacturers box and packaging. Made by Fontanini. 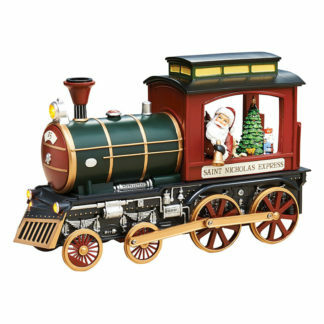 There is even more designer Fontanini giftware listed on our site. 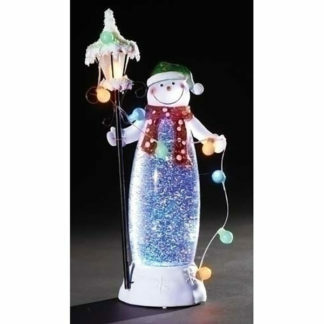 Measures 10″ H X 13.75″ W X 6.5″ D. Weighs about 3.8 lbs. This new introduction will be a welcome addition to any room decor. The stylish profile allows it to sit nicely on a mantle or narrow ledge, yet remain a significant presence. Roman Inc. collectors will enjoy this nice design and the fact that it uses minimal space. Roman Inc is an industry leader for competitively priced occasion-driven, inspirational and impulse product. Whether you are looking for anniversary, baby or bereavement items or you are looking for Christmas decorations, Religious, or inspirational items, they are the place to go to.